Anguilla is Opening A Tropical Grand Mansion! Overlooking the white sand beaches of Long Bay, Quintessence is offering an experience unparalleled throughout the Caribbean, with nine lavish suites and villas, a five-star restaurant, spa, bars, an infinity pool, fitness center, yoga pavilion, boutique, and state-of-the-art business suite. All inside of a Tropical Grand Mansion in Anguilla! With around-the-clock butler and concierge service caters to a guests' every need. The Q Hotel ( or tropical mansion) designed to perfection, with handcrafted fixtures and custom artwork around the resort, including a priceless collection of Haitian paintings and sculpture collected over decades. For the outdoor lovers, a tennis court, life-size chess board, yoga pavilion and outdoor massage pagoda are tucked into the lush foliage, offering a focus on health and wellness. The Aidan Spa boasts a full menu of manicures, pedicures, facials and massage using only the finest skin care products. For your good night's rest, the mansion offers fine Hästens Beds—handcrafted all-natural exquisite Swedish mattresses with the finest of linens that will make you dread the moment you have to leave it. The huge, luxurious bathrooms are lined with Turkish marble and include Roman soaking tubs, oversized walk-in showers, and amenities by Gilchrist & Soames (my favorite!). Julians, a Tropical French Bistro, headed by Executive Chef Dominique Thevenet, offers a menu that blends locally-sourced tropical dishes with traditional French cuisine into a style Mr. Fieger calls "island soul food." 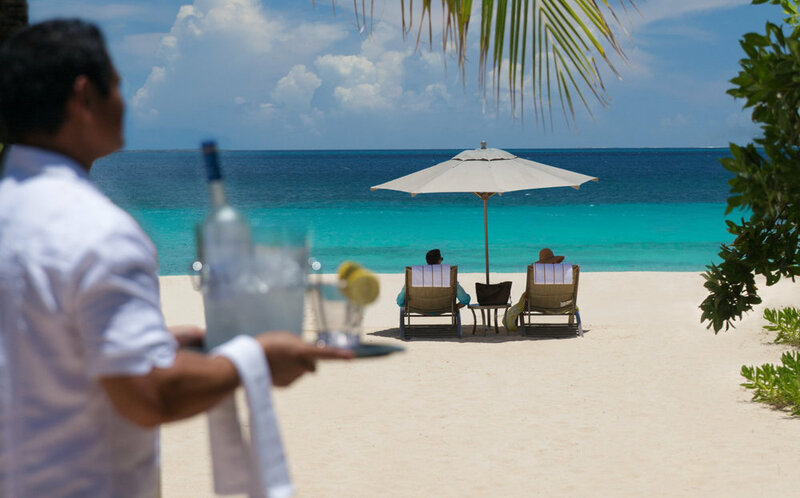 A full complement of hand-selected liquor and cocktails, along with the Caribbean's finest wine cellar, complement the menu. Fit for a Queen! 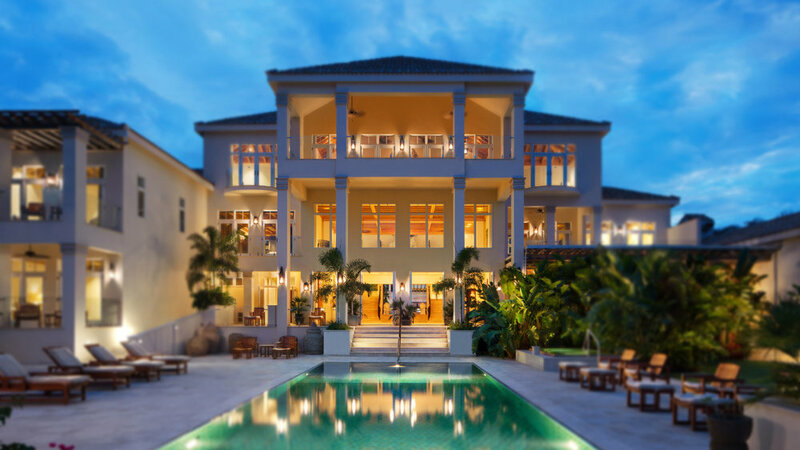 So who's up for a luxury stay in an Anguillan tropical mansion?